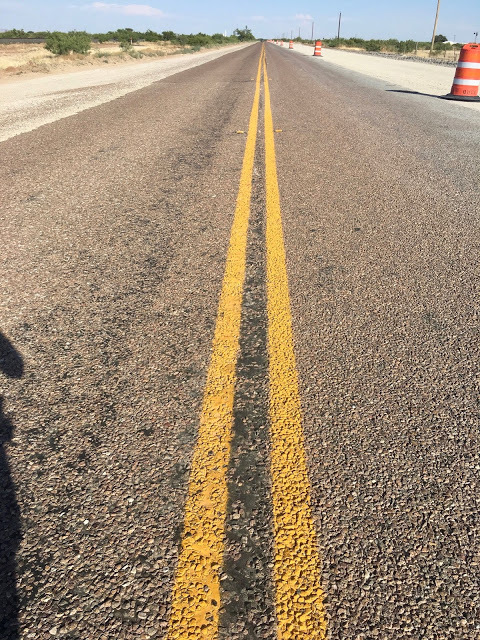 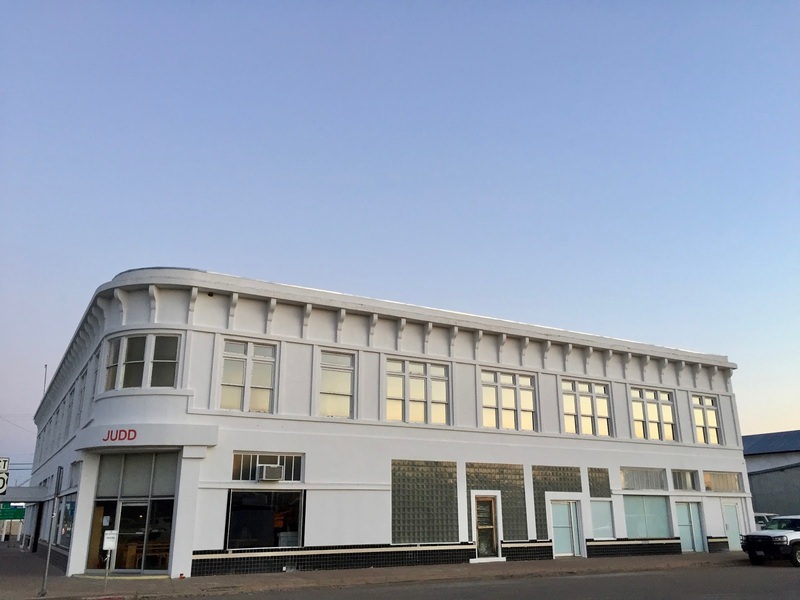 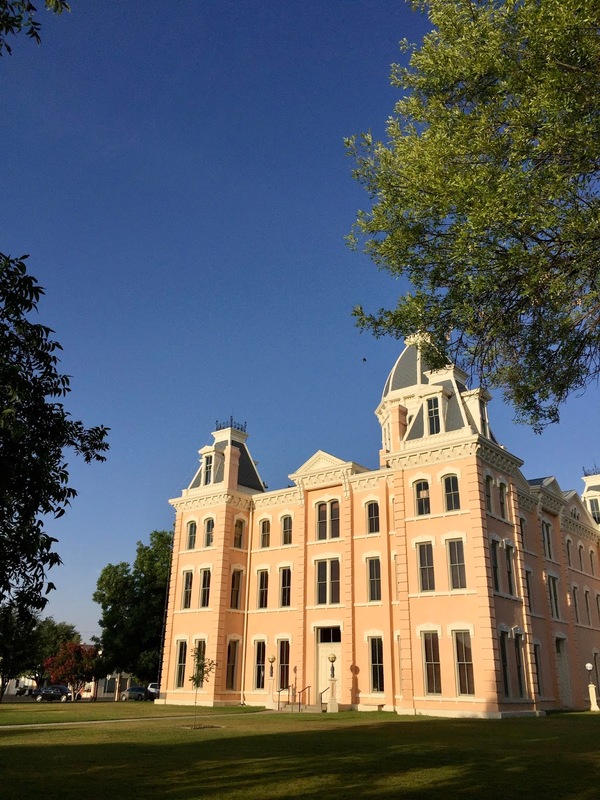 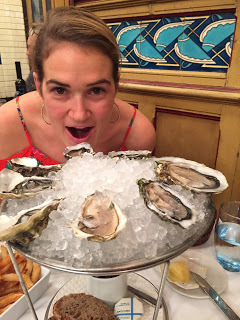 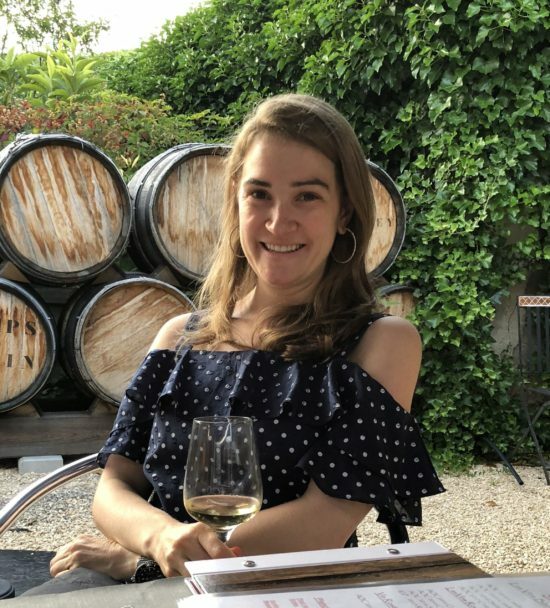 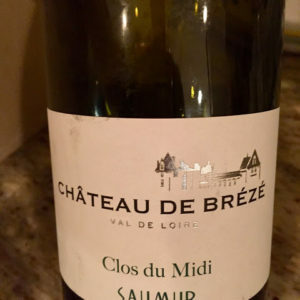 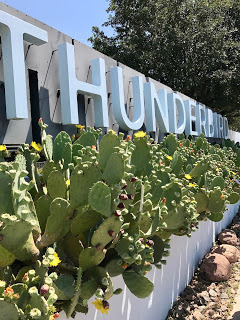 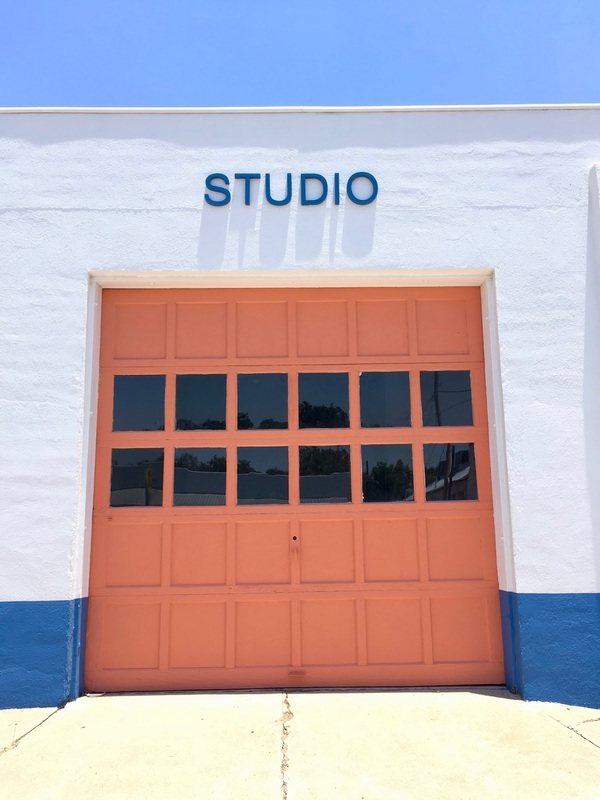 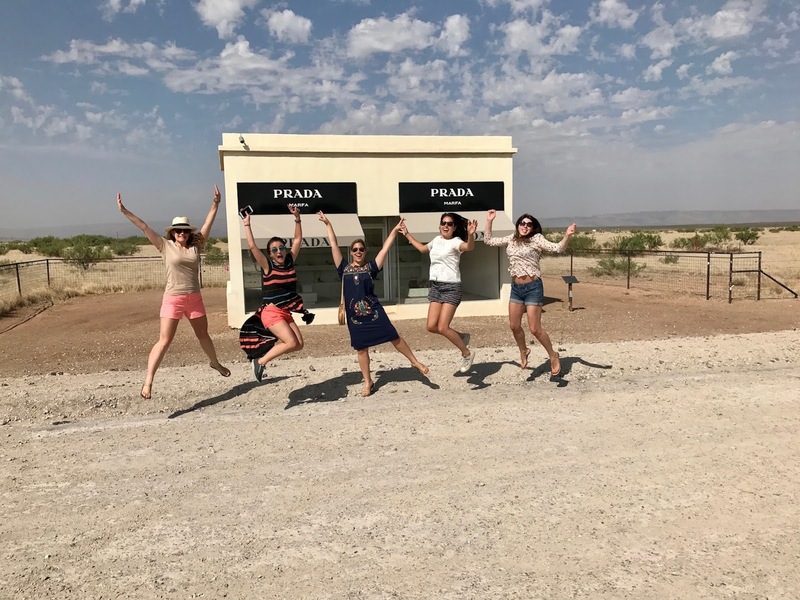 Travelogue - Marfa, Texas - Chardonnay Moi - Food, Wine, Travel and Fun! 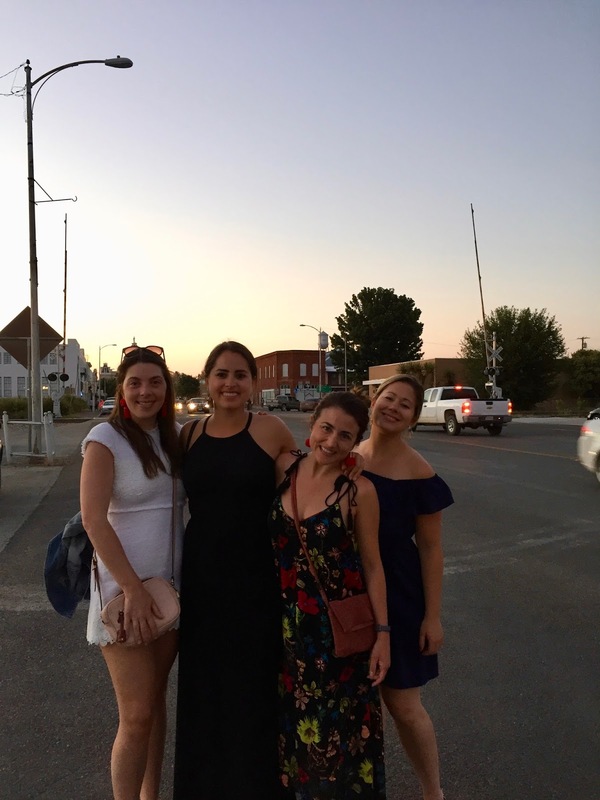 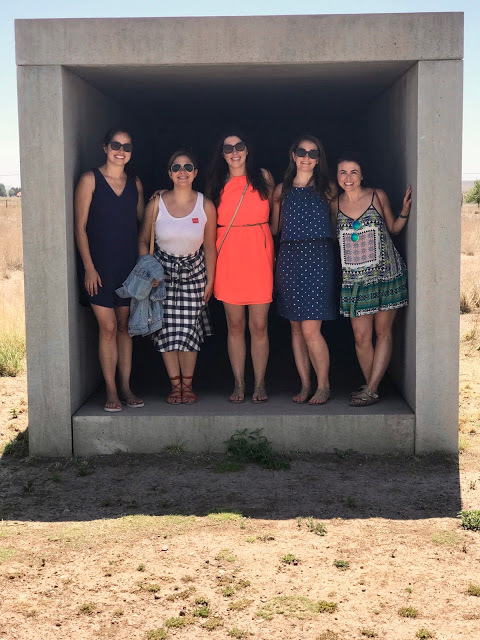 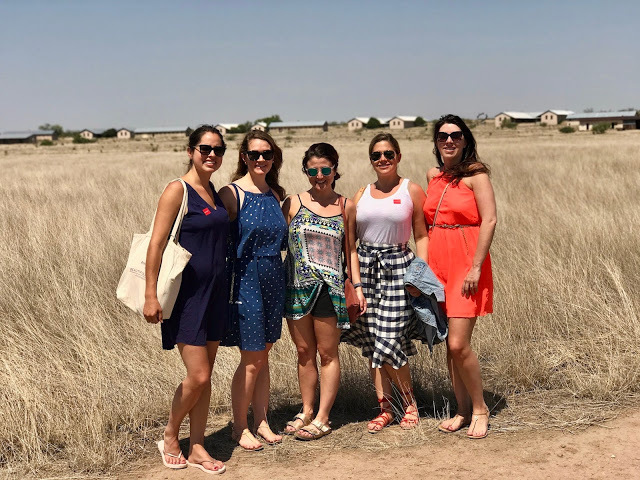 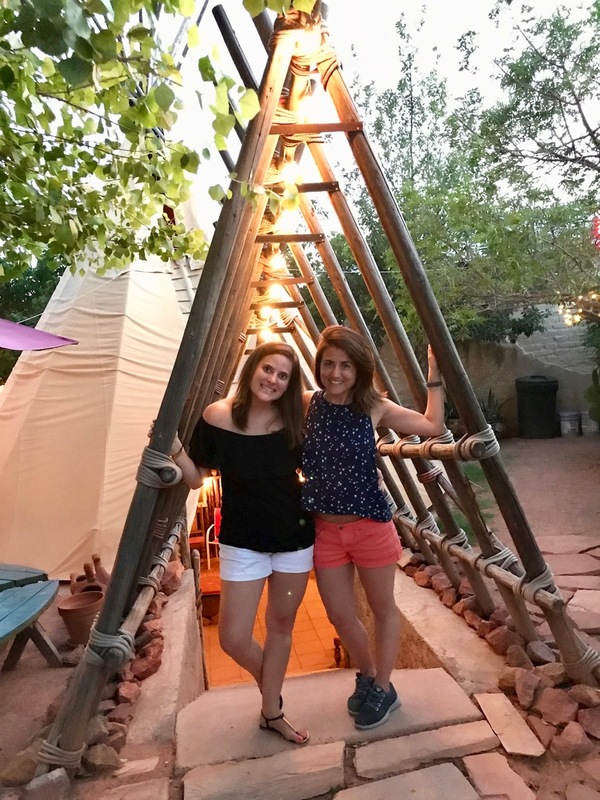 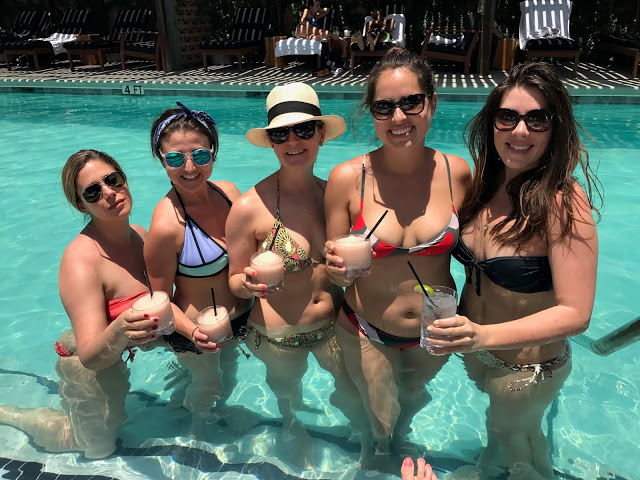 I can’t say it was at the top of my “must-see” travel list, but earlier this summer a dear friend’s 30th birthday gave us girls a great excuse to venture to west Texas to the land of art and burritos aka Marfa, Texas. 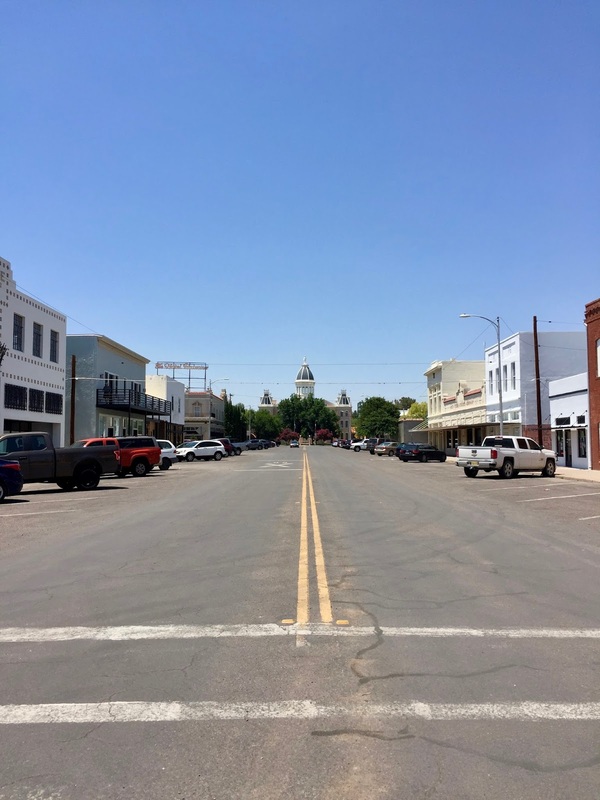 In all honestly I didn’t even know this was a destination a few years ago, but thanks to Instagram (and Beyonce) Marfa has become quite the hot spot in quite literally the middle of nowhere! 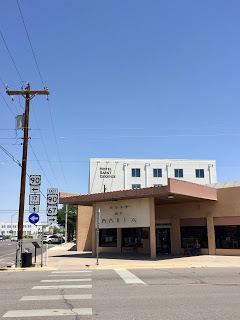 We flew from NY to El Paso (with a stop in Dallas) where we picked up a rental car for the 3 hour drive to Marfa. There is minimal cell service and long spurts without any amenities so plan accordingly! 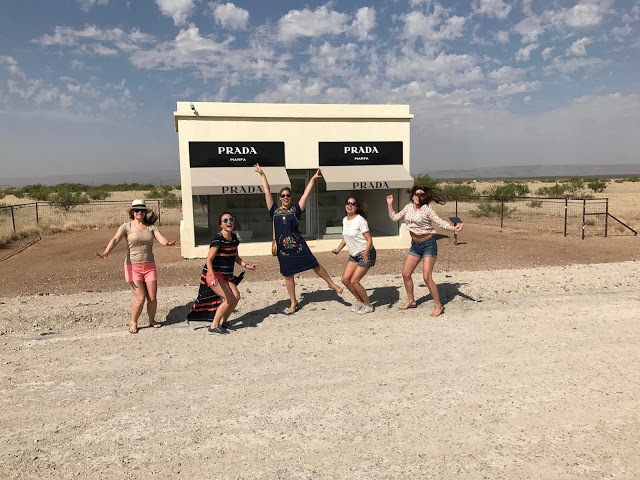 About 30 minutes outside of town lies the infamous “Prada Marfa” so we stopped for the requisite photo op before cruising into town. 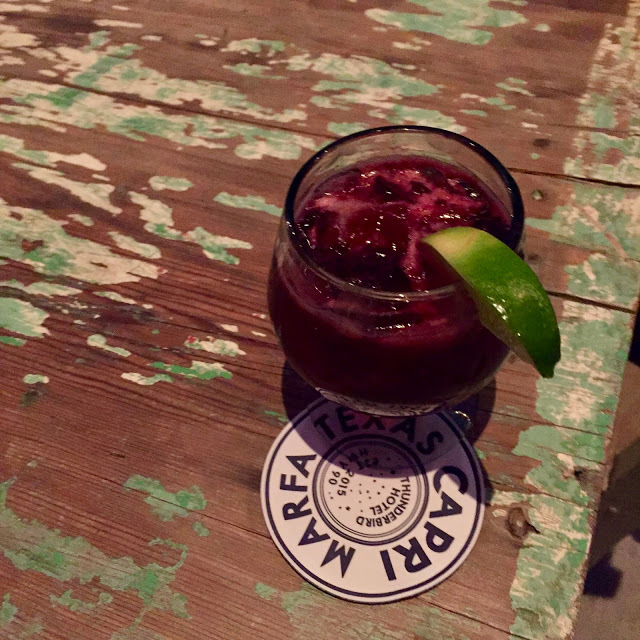 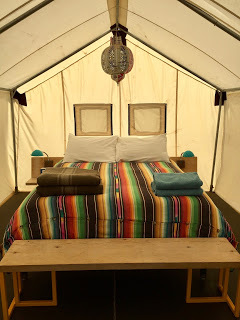 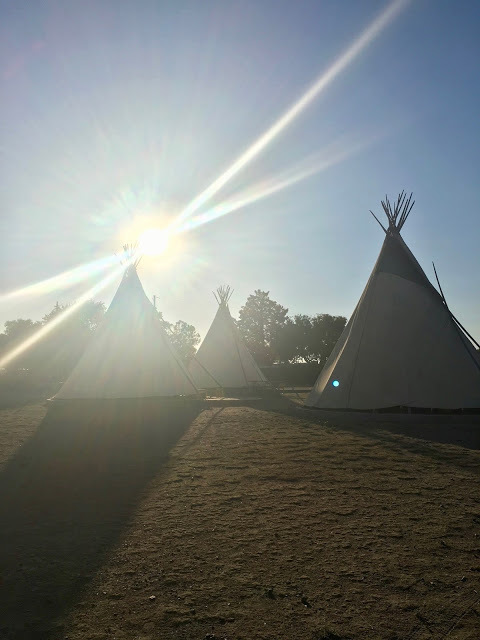 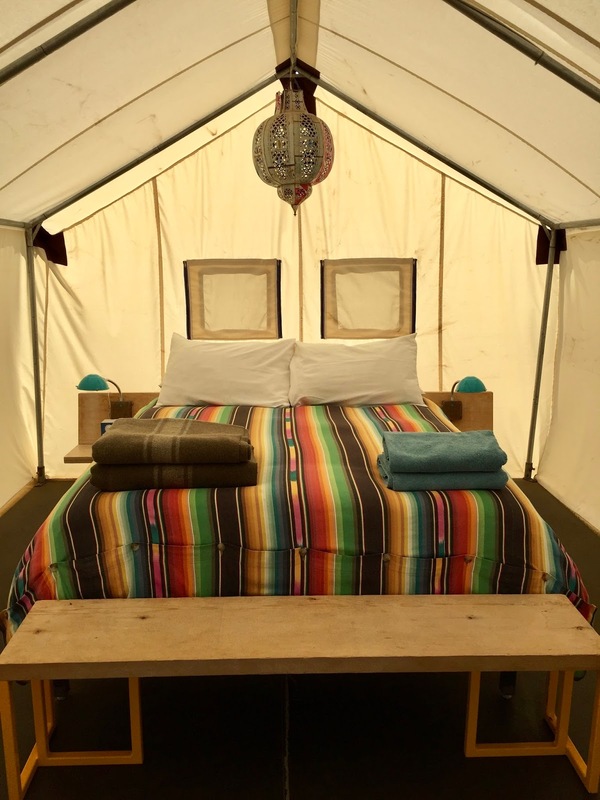 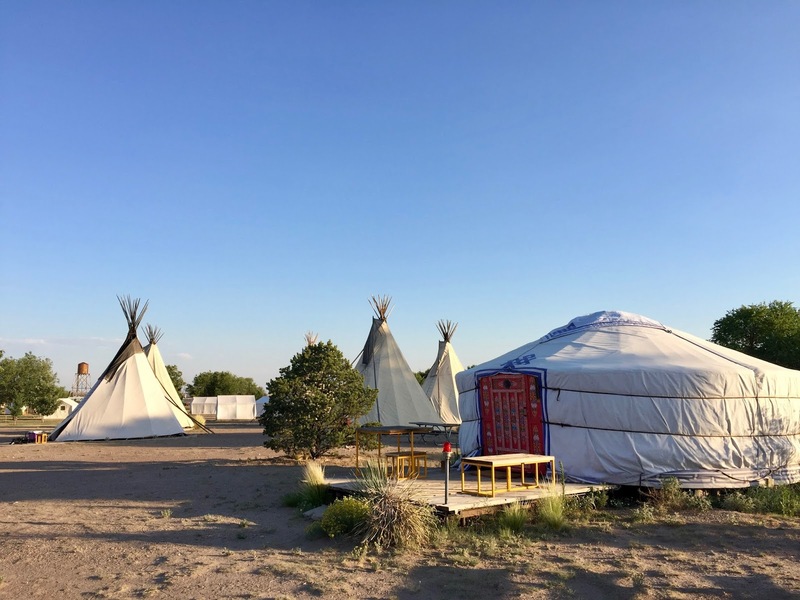 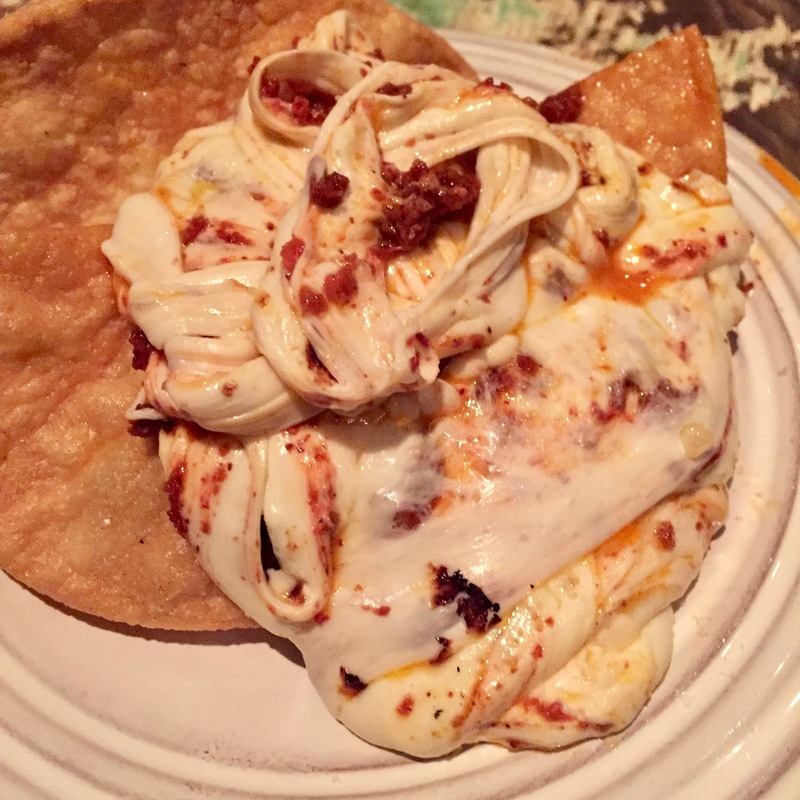 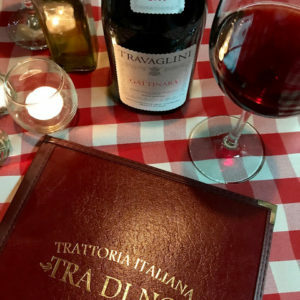 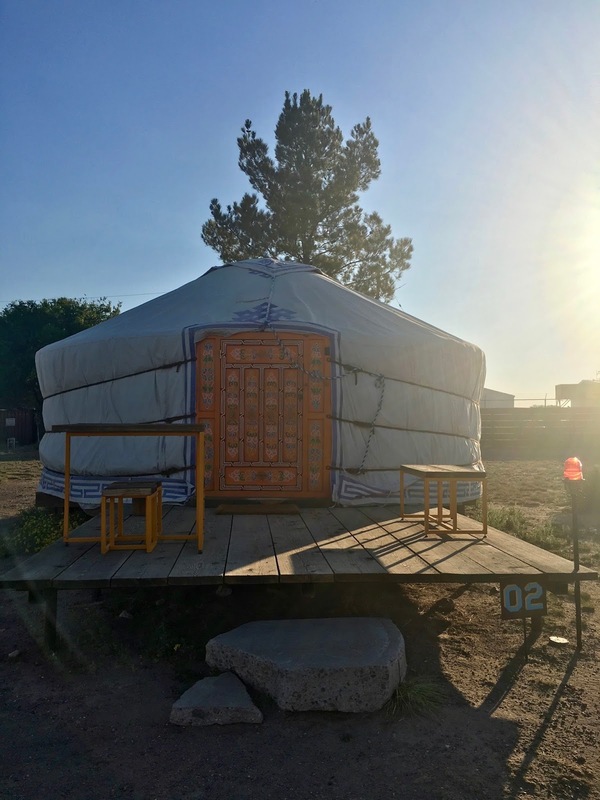 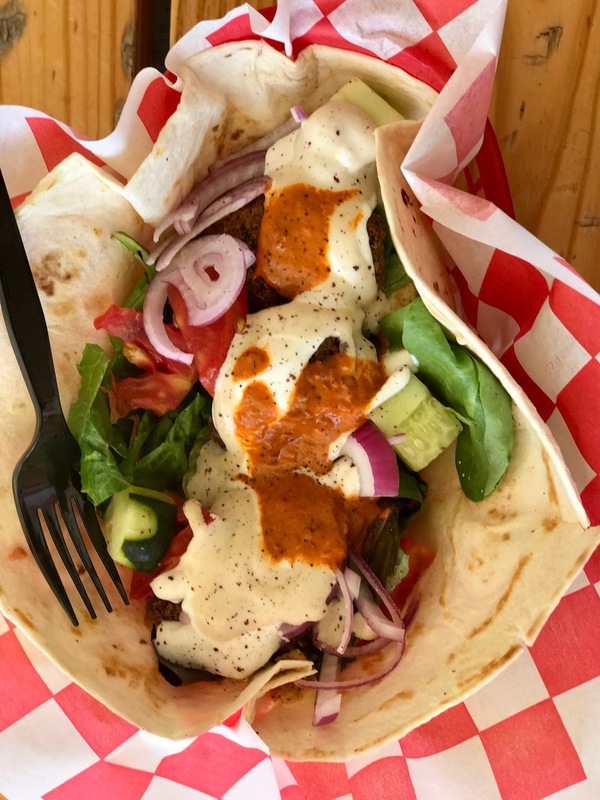 We checked in to our safari tents and yurts at El Cosmico before heading out for drinks and nacho apps at Planet Marfa then dinner at Capri. 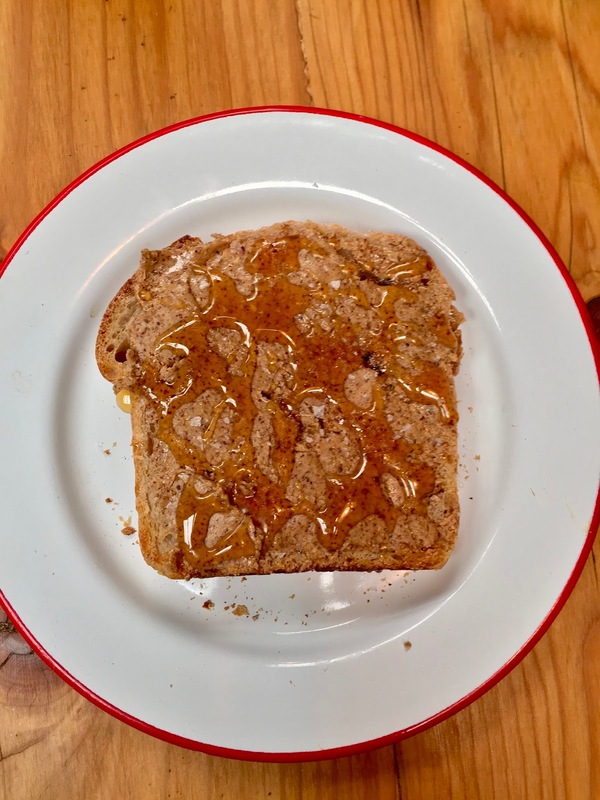 Day 2 – we woke up and made our way to Do Your Thing for coffee and “magic toast” – they aren’t lying, this stuff is pure magic. Homemade sourdough with several different toppings to choose from, the homemade almond butter, sea salt and honey was amazing, but it’s hard to pick a favorite among the seasonal jam and butter or the classic butter and cinnamon sugar! The coffee is great too but be forewarned, this isn’t NYC and service comes with a smile but was rather slow. 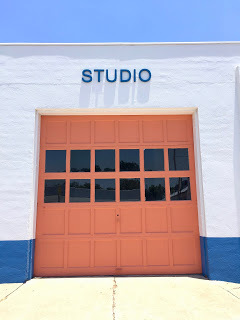 Fueled on toast magic and coffee, we made our way to the Judd Foundation. 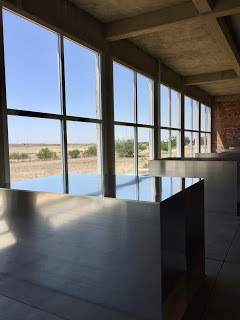 Donald Judd really put Marfa on the map so to speak. The guided tour takes you through La Mansana de Chinati, his personal living space and studio with several works installed throughout the property. 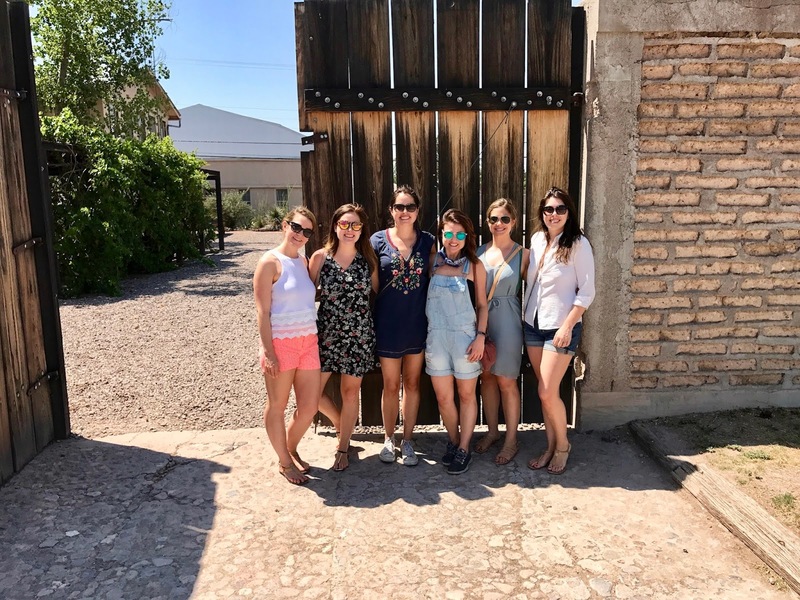 No photos were allowed inside the actual space so we snapped this group shot at the entrance! Hard to believe we were hungry again but we hit the Food Shark food truck for falafel lunch. So good! 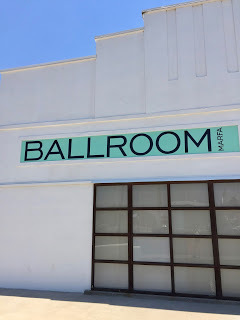 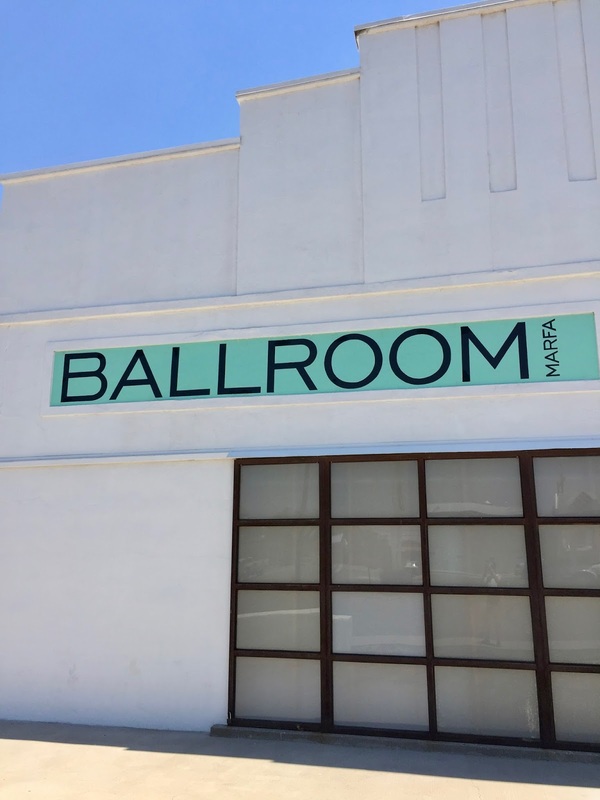 We spent the afternoon wandering town and the other galleries including Ballroom Marfa. 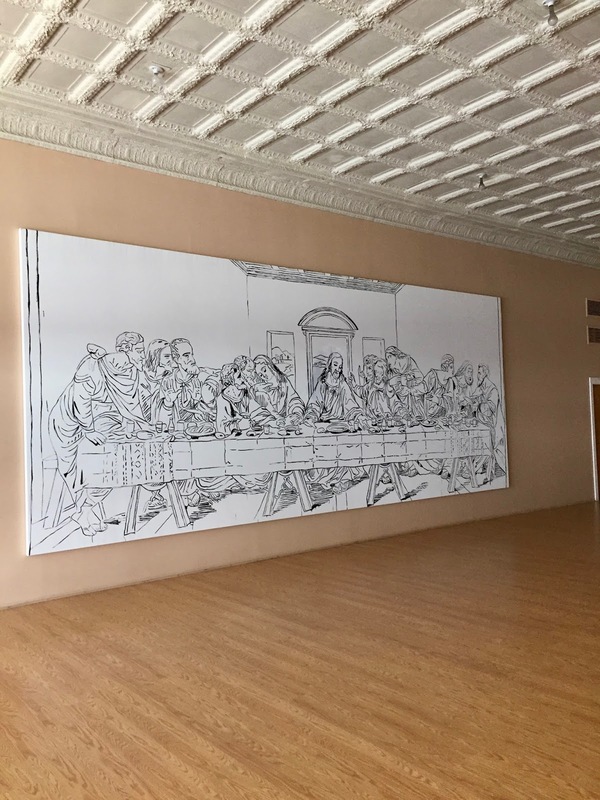 My favorite piece on display in town was Andy Warhol’s “Last Supper” at the Ayn Foundation. 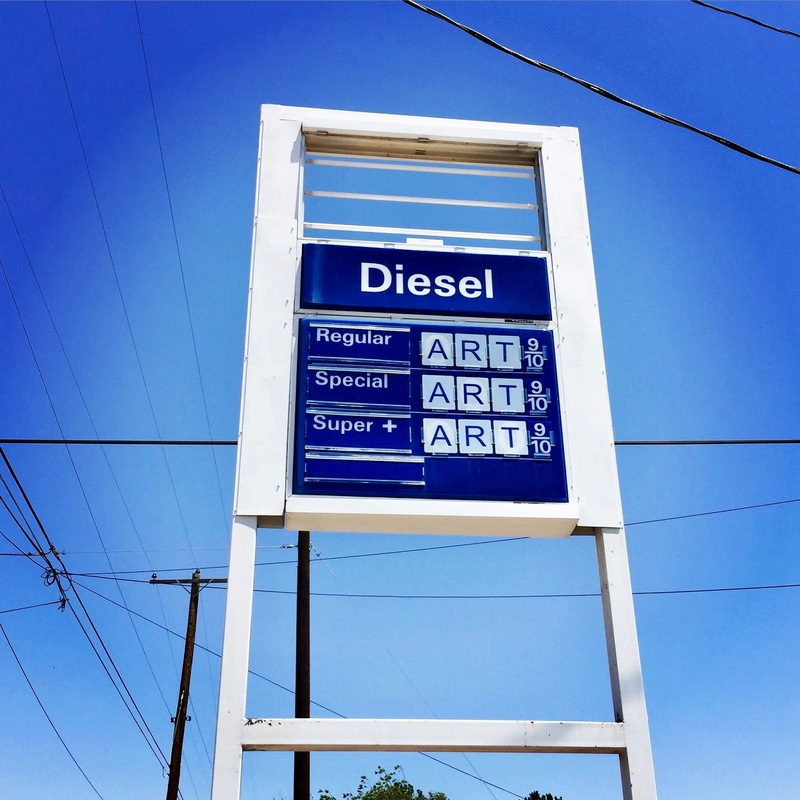 Art everywhere you look in this town! 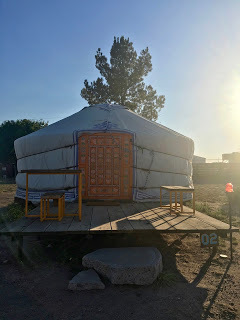 One night in safari tents was fun but we made the switch to the Hotel Saint George for the remainder of the weekend. The pool situation was necessary in the 100 degree heat! 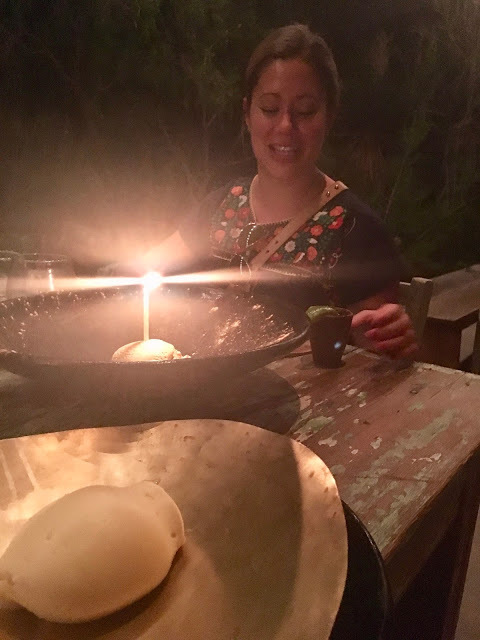 We ventured down the block to dinner at Stellina and around 11pm drove out to see the “Marfa Lights“. Day 3 began at Marfa Burrito for homemade burritos. 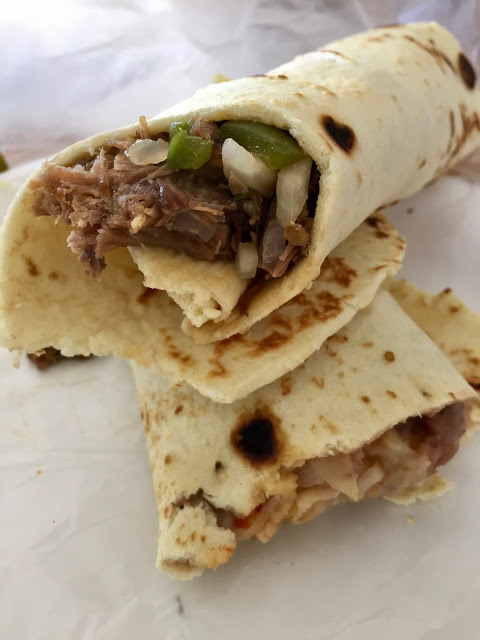 Ramona opens her home to customers for authentic breakfast burritos! From there we walked out to The Chinati Foundation for more works by Donald Judd. 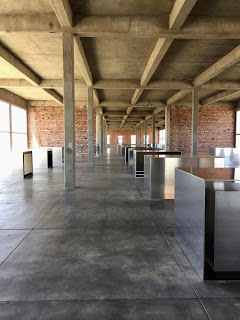 On display – Judd’s 100 untitled works in aluminum – 100 boxes of aluminum all have the same outer dimensions while the interior is unique in each piece. Outside – Judd’s 15 untitled works in concrete make for a great photo op! 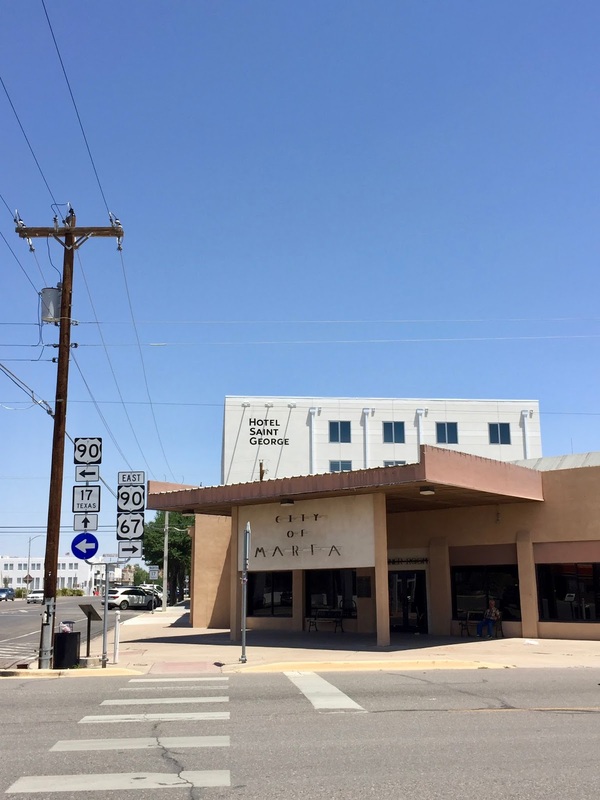 Dinners on Sunday in Marfa are tricky as most places are closed. 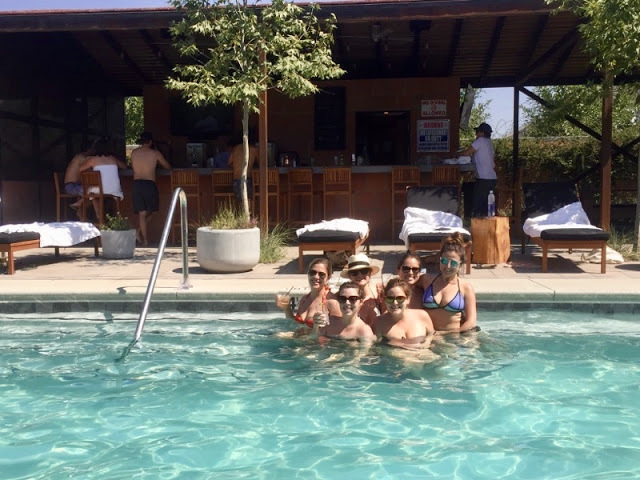 We had an early takeout pizza by the pool from Pizza Foundation and a late night burrito snack from Lost Horse Saloon. 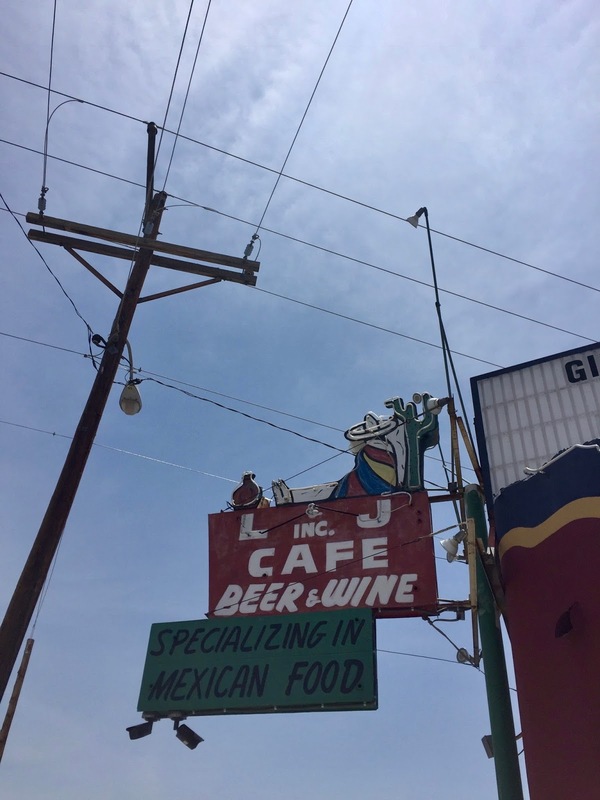 Monday morning we doubled down on Tex-Mex with breakfast at Mando’s (not worth it) and then lunch at L&J Cafe in El Paso which makes for a quick last stop before the airport. 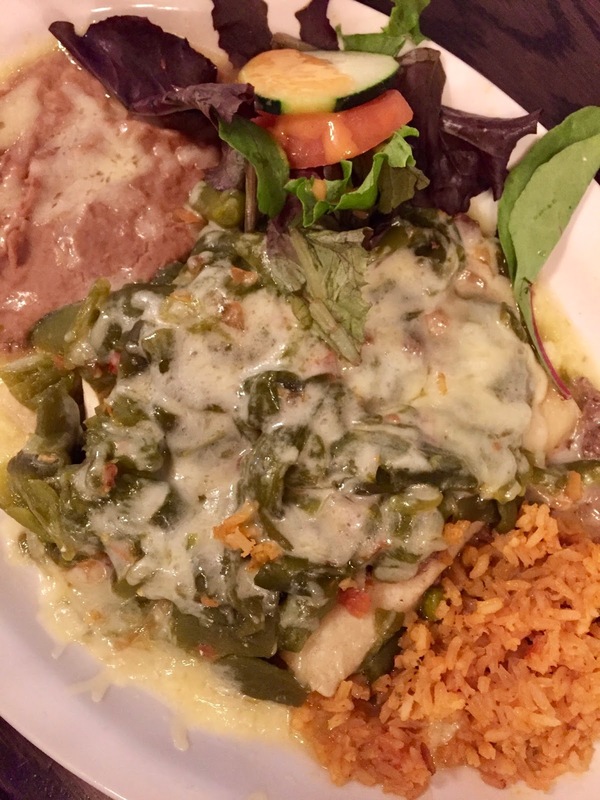 Our entire trip was a quest for the best Tex-Mex and to be honest, everything was a bit underwhelming. L&J’s enchiladas were the most satisfactory of the bunch. 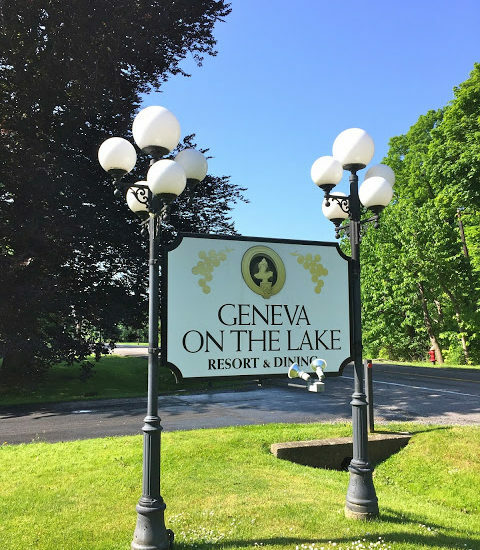 All in all a fun weekend trip! 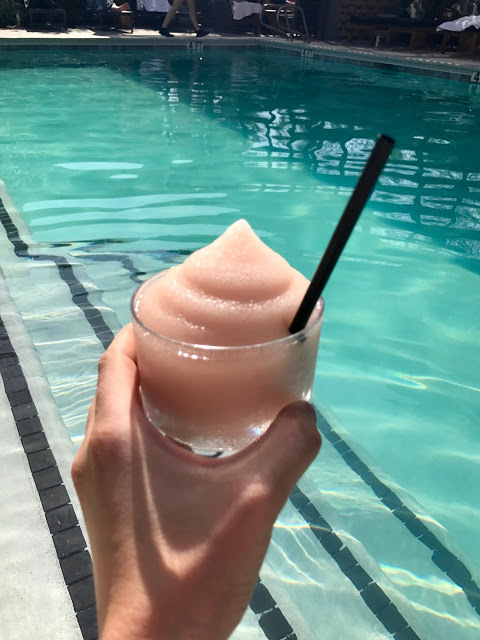 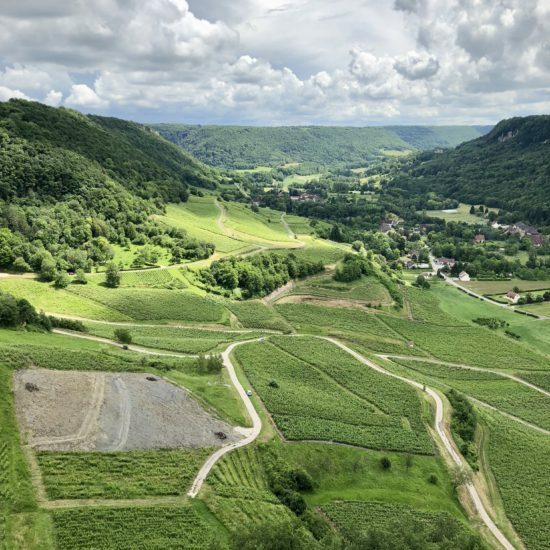 Had we not had the pool you could easily see everything there is to see in one full day, but relaxing afternoons with several rounds of frozé made for a super fun long-weekend!